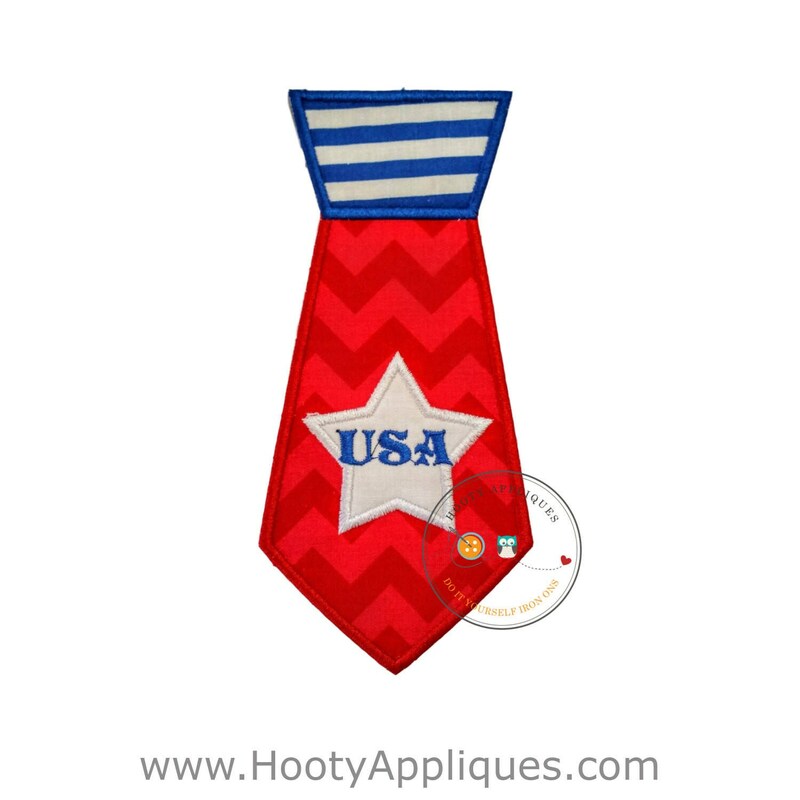 Red white and blue iron on shirt tie. This tie is done in dark and light alternating red chevron patterned fabric. It has royal blue and white striped fabric for the upper knot and is embellished with a bright white star on the largest portion of the shirt tie. The star features the text USA. 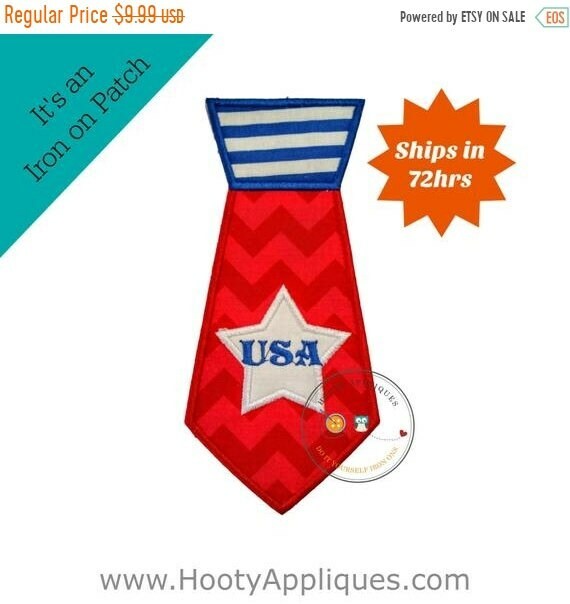 With the historical color combinations this tie is perfect for a quick 4th of July Holiday shirt. *Patch measures 3.5 inches wide by 7.75 inches tall.